Delivery from £5.90 to United Kingdom in 1 - 3 working days. 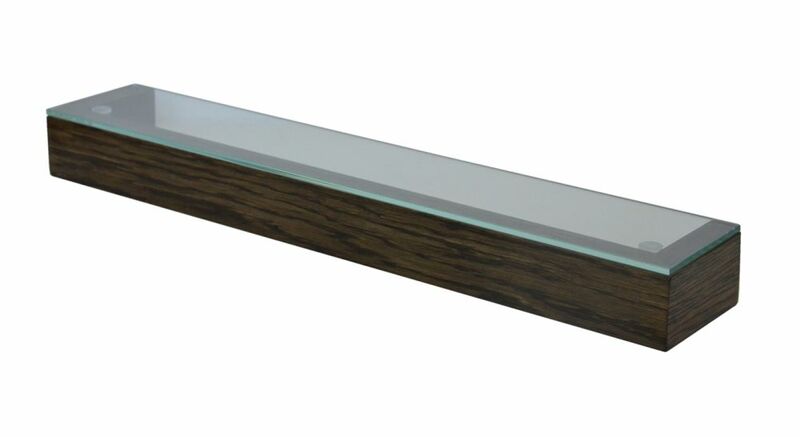 The polished, emerald edged glass, contrasts beautifully with the solid oak. Use to display your most prized perfumes or simply to keep at hand the things you use most often. A contemporary aesthetic that works perfectly with the other designs in this collection. Made from natural or dark-stained solid oak and sealed with a smooth water-resistant lacquer. We don’t just design a product, we design the whole experience, hands-on end to end.